When it comes to hair loss, not many people immediately think about eyebrow hair. Loss of eyebrow hair is a major concern among both male and female patients. The most common causes of eyebrow hair loss in women is over-plucking and/or aging. Our eyebrows are such a defining feature of our face, that any thinning or sparseness of hair can be noticeable. Most often this concern is camouflaged by eyebrow pencils and brow shadows daily. Today some are choosing a Microblading procedure which gives the eyebrow a longer lasting and semi-permanent effect. 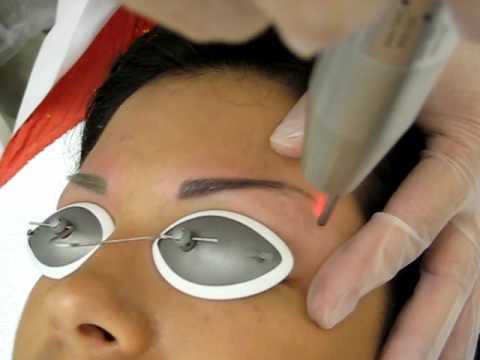 Microblading, although similar in concept to tattooing, the tools and technique are quite different. Using a pen like tool with fine blades attached, a permanent makeup artist is able to create fine hair like strokes, by depositing pigment into the upper layers of the skin. The strokes resemble eyebrow hairs similar to the way we fill in our eyebrows with a makeup pencil. Unlike a regular tattoo, the microblading tool does not deposit the pigment as deeply as a tattoo gun which makes it less permanent and less intense. Those who have had microblading will notice that the color will be darker at first. The color will fade about 50% after two weeks as the skin heals. Although there is no significant downtime, there is still irritation and dryness at the site where the microblading has been applied. After 4-6 weeks the area is completely healed. Touch ups may be required. Although microblading is semi-permanent, it is something that you will want to have done by an experienced permanent make-up specialist. For more information on microblading and permanent makeup visit Lasting Looks Clinic www.lastinglooks.ca in Toronto. Contact us via phone or email to book a consultation.